Honolulu basically means “calm harbor” in English. It’s Hawaii’s largest city, and is one of America’s most unique. The city has been neglected by history up until the Pearl harbor surprise attack in 1941. Hawaii’s pre-American history was largely unrecorded so it’s hard to know when Honolulu was first settled, but it is thought to have been some time around the 11th century. A city that old can only have seen it’s fair share of violence. It’s fair share of blood spilled over power struggles. Some say the city is occupied by the ghosts of it’s past. Some of these ghosts are of early American settlers, whereas others are ancient tribal leaders. Here are 10 haunted places in Honolulu. I bet you didn’t even know there were so many haunted places in Honolulu. 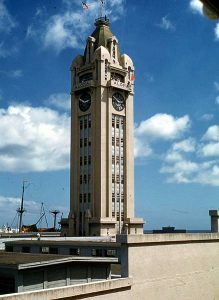 Aloha Tower isn’t just known for having an incredibly Hawaiian name. It’s also known for being reportedly haunted. The tower was constructed in 1926 for a cost of 160 thousand dollars. That was a hell of a lot of money for back then. One of Hawaii’s most expensive, and the tallest ever built in Hawaii at the time. Local coastguards were stationed in Aloha Tower during the Pearl Harbor attack. It is said that the tower is now occupied by the ghost of a Pearl Harbor victim. His spirit climbed into the tower to try and see the people who killer him, as they did it from a distance. He never saw them. So he’s still there, looking into the ocean. You’ll soon notice that many haunted places in Honolulu are connected to Pearl harbor in some way. 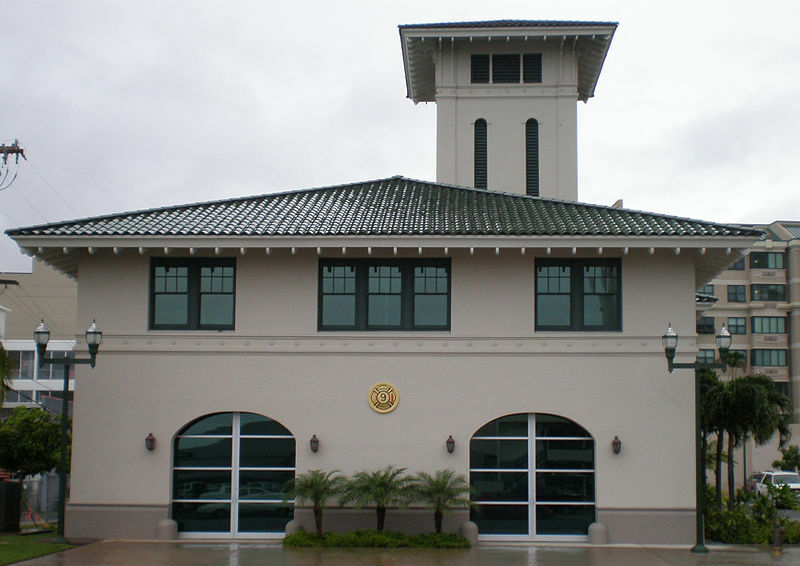 Kakaako Fire Station was built during the 1920s, in a Spanish revival style of architecture for some reason. There really isn’t much to say about it’s history other than it operated as a reliable fire station. And it is said to be haunted by the ghost of a long dead fire fighter, and his faithful dog. On cold nights, they appear and walk the station until the morning light arrives. The dog can constantly be heard barking, which annoys the locals. There are several other fire fighters said to haunt the fire station, but only at night. The main fire fighter can be seen all year around. 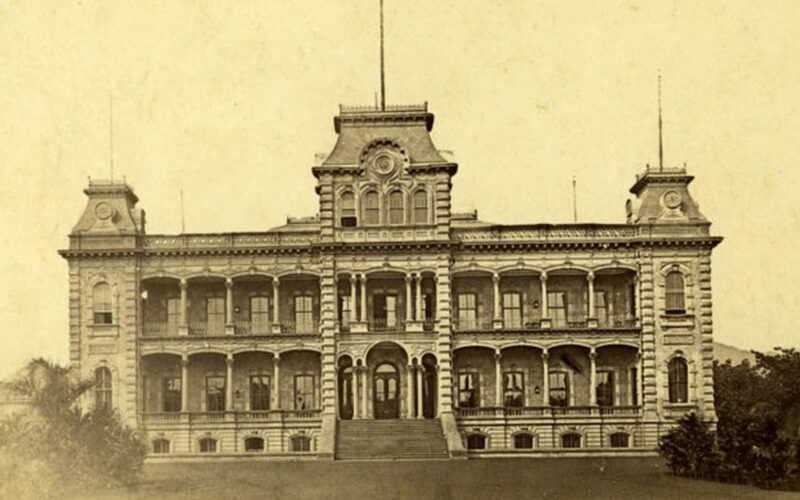 Iolani Palace was the Royal residence of the monarchy of the Kingdom of Hawaii. You see, the kingdom of Hawaii was an absolute monarchy before it was annexed by America and had it’s monarchy overthrown. This is where they lived during the second half of the 19th century, which explains it’s Victorian style. The main palace is thought to be haunted by a queen who died there in 1917. People regularly report strange experiences involving her ghost. The first sign she has arrived is the faint smell of cigar smoke, followed by the sight of her emerging from a palace wall. 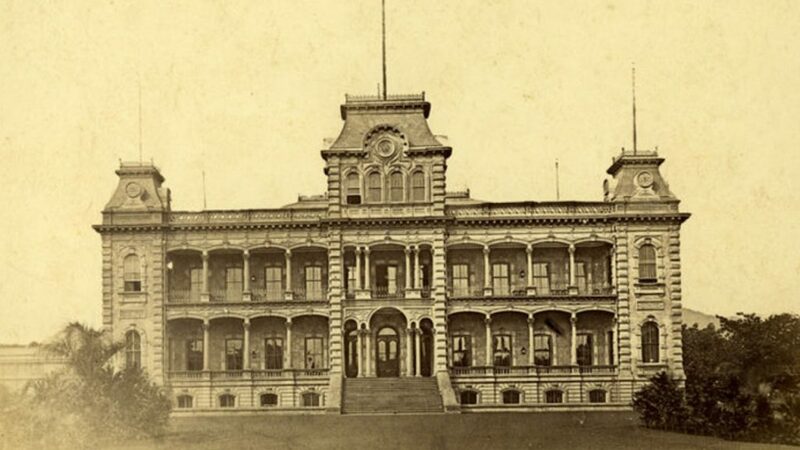 Few haunted places in Honolulu can boast the ghost of a former Queen. Apparently the whole of Chinatown Honolulu is haunted. The town arose from the huge waves of Chinese immigrants who helped build American infrastructure in the 18 hundreds. In 1900, the black plague spread to the town through rats in a rice shipment. The local government put Chinatown under quarantine and a huge fire broke out during this. Forty people died. Today, the town is said to be haunted by the deranged and angry ghosts of these 40 victims. By the 1940s, the town had depressed into a shell of what it once was. The area is actually said to be haunted by the spirits of several prostitutes from this era. 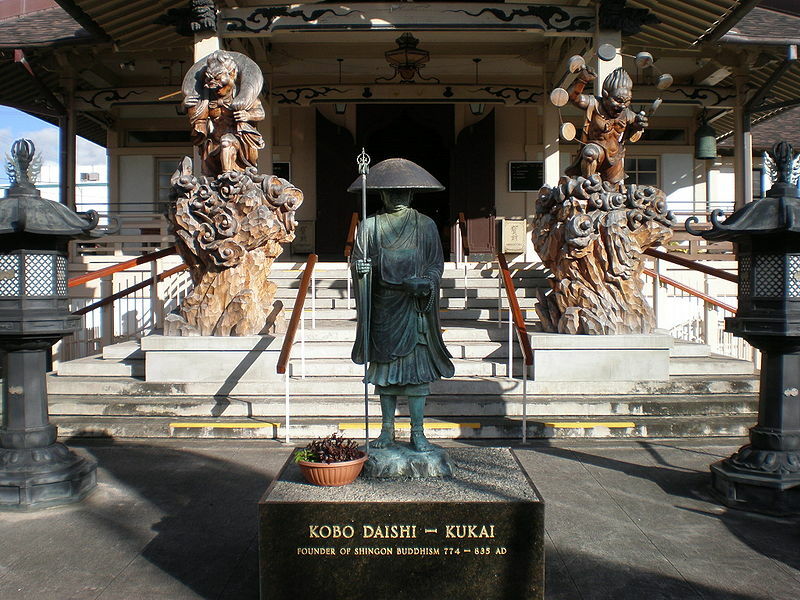 Hawaii Shingon Mission is an example of the historical influence Japanese settlers have had on the islands. It’s a Japanese style Buddhist temple first built around 1916. It wasn’t in use for very long before being forgotten. So an amateur builder renovated it in the late 1920s. Today, it’s considered a culturally important building. The temple is said to be haunted by the man who built it. He can be seen on dark nights hammering the floor with a massive hammer, as if carving a new structure. He was a master builder so you should expect him to build in death as well as in life. 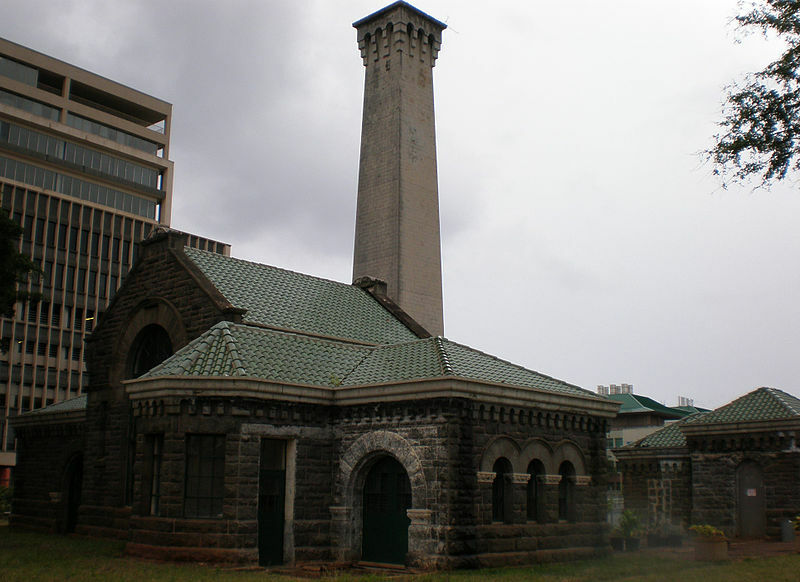 The Kakaako pumping station was constructed in 1900, which seems to have been a big year in Hawaiian architecture. As you can guess, it was originally used as a pumping station. But it fell out of use in the 1940s. Since then, it has been abandoned. It’s looked after by a non-profit organization these days. Apparently local legend tells that a man broke into the station one day in the 1950s. After drinking a bottle of Vodka, he killed himself with a knife. His body was removed, but they say his spirit remains. And they don’t mean the alcohol. It’s hard to make a list of haunted places in Honolulu without mentioning this place. 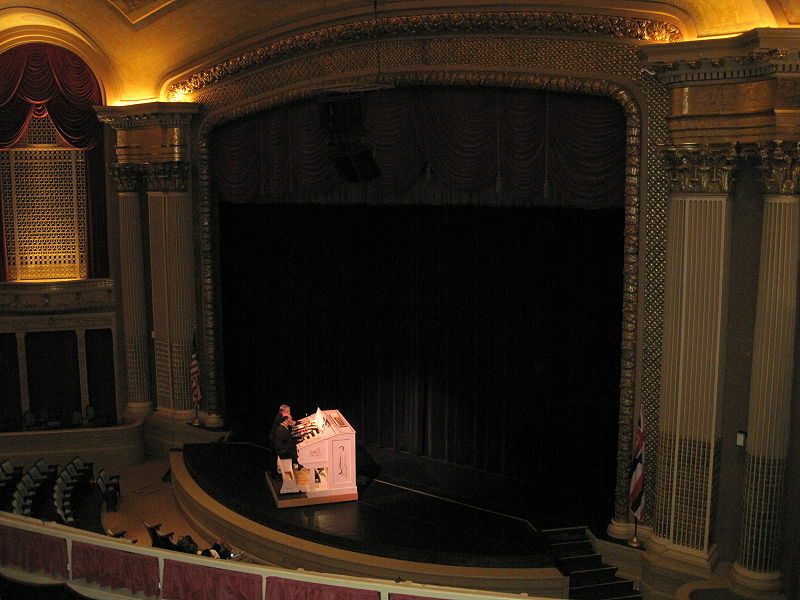 Hawaii Theater was called ‘The Pride of The Pacific’ when it first opened it’s doors back in 1922. And it’s still open today; it’s at the edge of Honolulu Chinatown, which explains the dark legend surrounding it. The theater is claimed to be occupied by the sad ghost of a Chinese man who was brutally murdered within the theater long ago. Apparently he only appears during shows at the theater and only when the audience is largely empty. He watches the shows, as any bored ghost would. He’s scared of humans though, disappearing whenever a thereat worker gets close to him. The Church of Saint Andrew is still lived in by a Bishop today. It was originally built by the Church of England, and attended by the King and Queen on Hawaii, who were convinced into converting to Christianity by Queen Victoria. In fact, the former Queen of Hawaii has been reportedly seen roaming the Church on rainy days. Some people actually report being attacked by her ghost, which isn’t very Christian of her. She is said to play the piano. Do not approach the piano if you hear it playing – this is when she is most violent. Don’t disturb her. 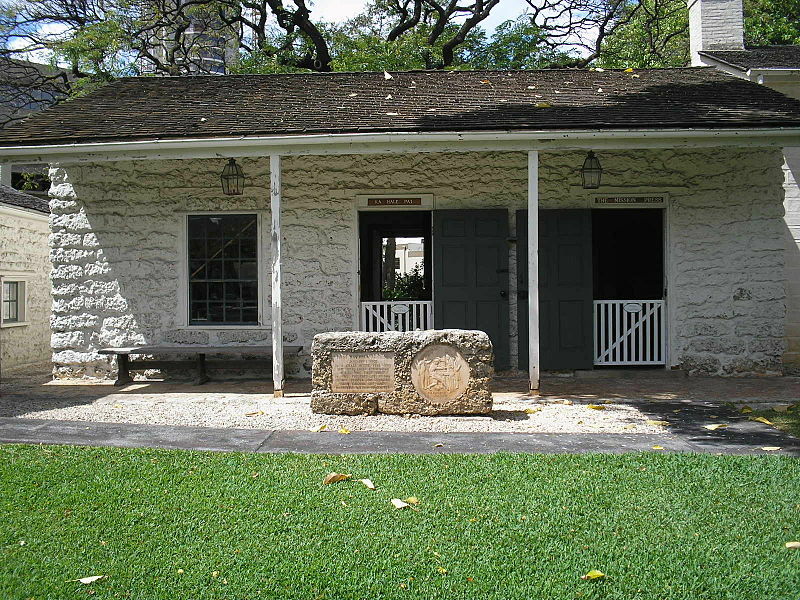 Mission Houses Museum was originally founded as one of Hawaii’s first charity organizations. 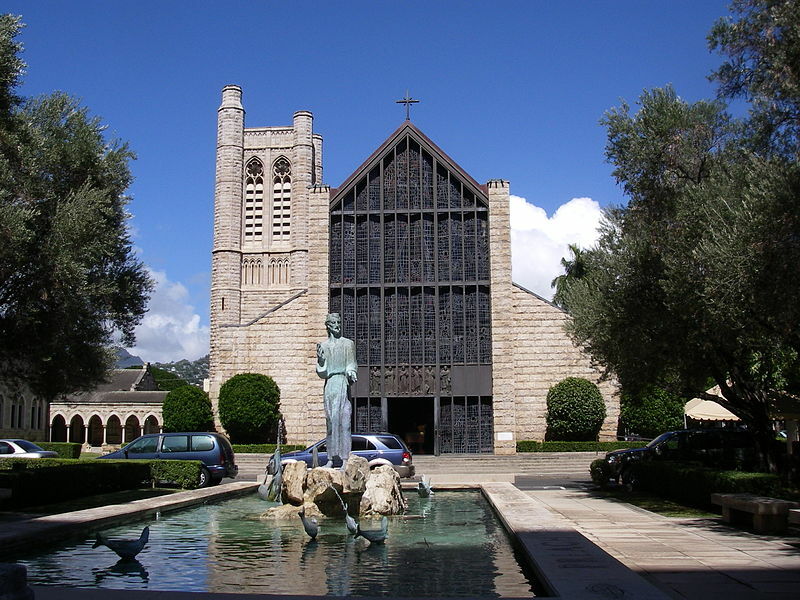 It was actually opened on the 100 year anniversary of Christian forces arriving in Hawaii – in 1920. 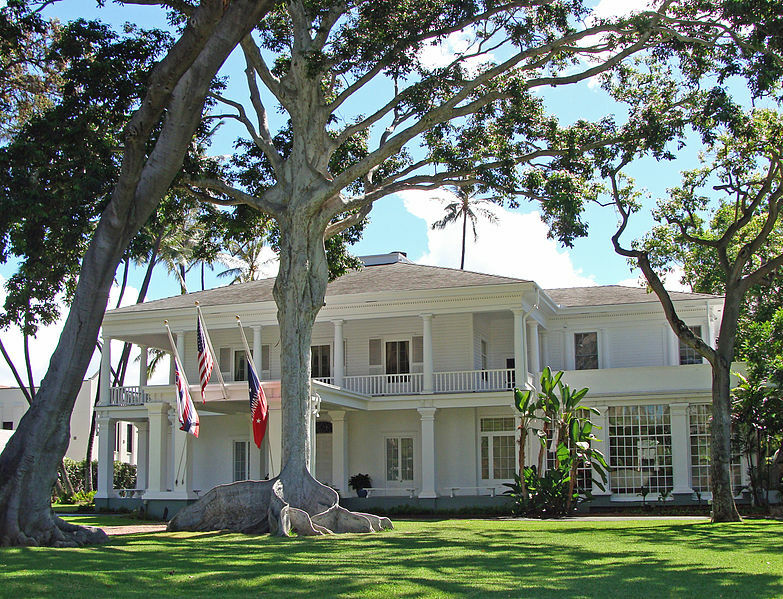 It was constructed using materials that were shipped to Hawaii in the 1820s. The history to the building was enough for it to now be designated as a national landmark. That’s the good side of the Mission Houses Museum – now for the bad side. It’s haunted. This is going to sound mental but some of the paintings on the walls are reported to move like the ones in harry potter. 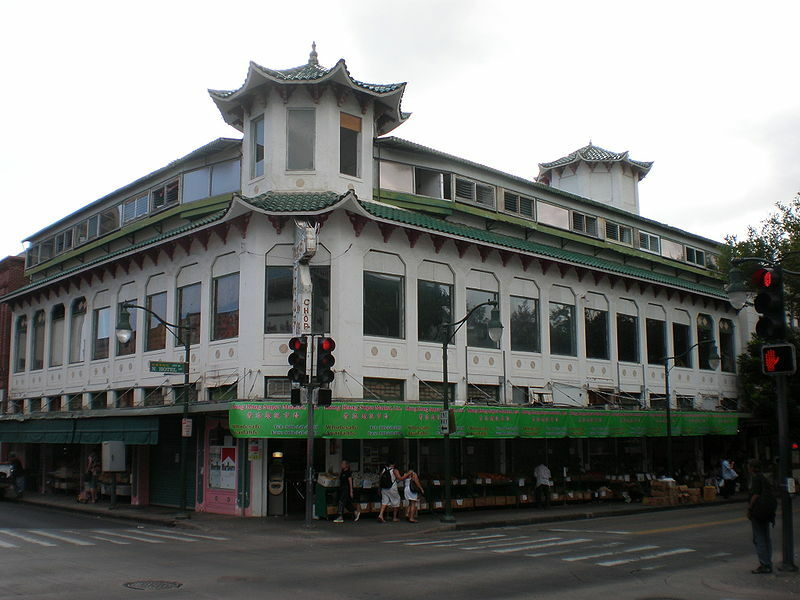 Washington Place is easily one of the most haunted places in Honolulu. Like other stately buildings, it’s said to be haunted by the ghost of a Queen from Hawaii’s past. People have reported seeing her pace around the building as if she was inspecting it to make sure her servants are doing their job properly. Some people claim that they engaged in conversation with an old woman in Washington Place, only later realizing what had happened. They had spoken to the ghost of the Queen.